THPRD partners with Oregon District 4 Little League and other affiliates to provide opportunites for youth baseball throughout the district. Registration for youth baseball and softball leagues is done through the associations listed below. Associations are divided by Beaverton School District Elementary School attendance area. If you attend a private school, you will play with your public school attendance area. Contact your appropriate association for more information. Spring Leagues: Registration is in December-February. Play is March-June. Summer Leagues: Registration is in January and February. Play is May-July (boys and girls). Aloha-Huber, Beaver Acres, Chehalem, Cooper Mountain, Errol Hassell, Hazeldale, Kinnaman, Mountain View Middle School. Barnes, Bethany, Bonny Slope, Cedar Mill, Elmonica, Findley, Jacob Wismer, McKinley, Oak Hills, Ridgewood, Rock Creek, Sato, Springville, Holy Trinity, St. Pius, Terra Linda, West TV, William Walker. Fir Grove, Hiteon, Nancy Ryles, Scholls Heights, Sexton Mountain. Conestoga, Greenway, McKay, Montclair, Raleigh Hills, Raleigh Park, Whitford, Vose. A girls (ages 4-14) program that is comprised of players within the combined boundaries of Beaverton, Aloha, and Raleigh Hills Little Leagues. It is chartered as an independant, softball only program. Aloha Huber Park, Beaver Acres, Chehalem, Cooper Mountain, Fir Grove, Greenway, Errol Hassell, Hazeldale, Hiteon, Kinnaman, McKay, Montclair, Nancy Ryles, Raleigh Hills, Raleigh Park, Scholls Heights, Sexton Mountain, Vose. Willow Creek-Portland is a Little League girls softball program. 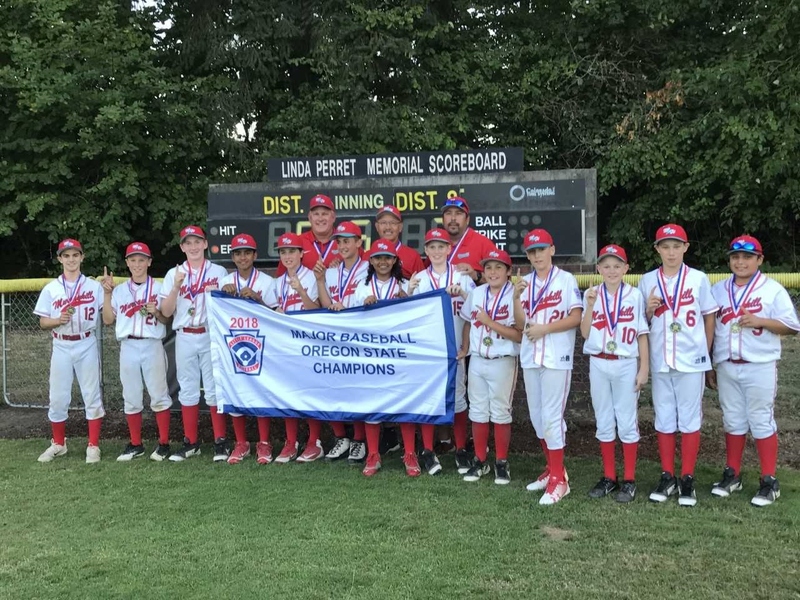 This league is comprised of players within the combined boundaries of Cedar Mill, Westview, and Wolf Creek Little Leagues based under Oregon District 4. Willow Creek has chartered as an independent, softball-only program. (Co-ed t-ball will continue under the baseball leagues.) This program is open to girls aged 4yrs-14yrs. Contact the association listed below for fall ball availability. Aloha Huber, Chehalem, Cooper Mountain, Errol Hassell, Hazeldale, Kinnaman, Sexton Mt., Nancy Ryles, Mountain View, Aloha High, Valley Catholic. Fir Grove, Greenway, Hiteon, McKay, Montclair, Raleigh Hills, Raleigh Park, Conestoga, Highland Park, Whitford, Beaverton High, Jesuit High, Oregon Episcopal. Barnes, Cedar Mill, Findley, Ridgewood, Terra Linda, William Walker, West TV, Catlin Gable, Cedar Park, Meadow Park, Stoller, Sunset High. Conestoga, Fir Grove, Greenway, Highland Park, Hiteon, Schools Heights, Sexton Mt., Nancy Ryles, Southridge High. Beaver Acres, Bethany, Elmonica, Five Oaks, Jacob Wismer, Lenox, McKinley, Oak Hills, Rock Creek, Meadow Park, Springville, Stoller, St. Mary's for Boys, Westview High.